Daventry Conservative Club is a popular town centre club situated in the High Street, which is right in the middle of the main shopping area. 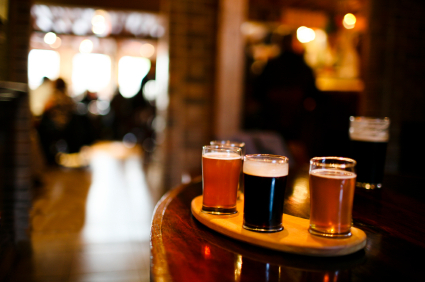 It offers a number of fine beers and wines at very reasonable prices. 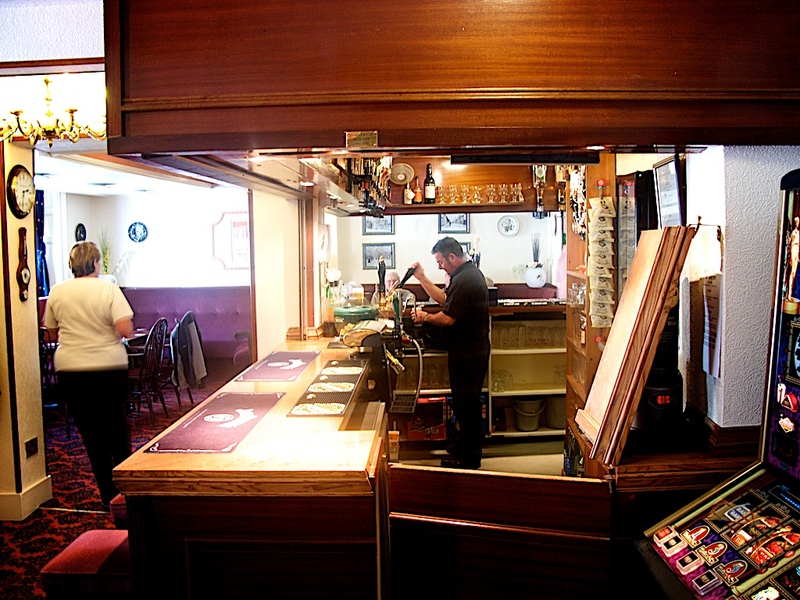 Lunchtimes you will find a comprehensive menu of hot meals and snacks at very competitive prices. 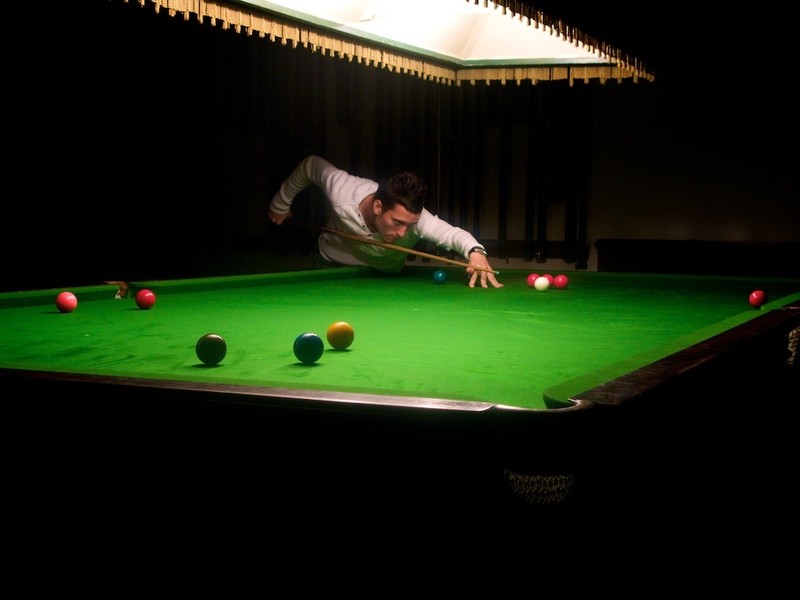 The club has two thriving snooker teams and boasts three tables, which are generally regarded as some of the best tables in the the area. The cost of playing is very reasonable. 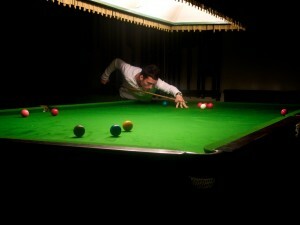 Two snooker teams play in the Rugby & District League. 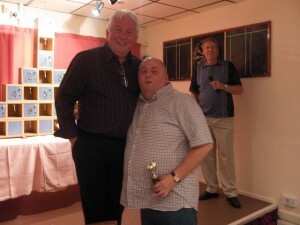 A darts teams is also run in the Club playing in the local league. 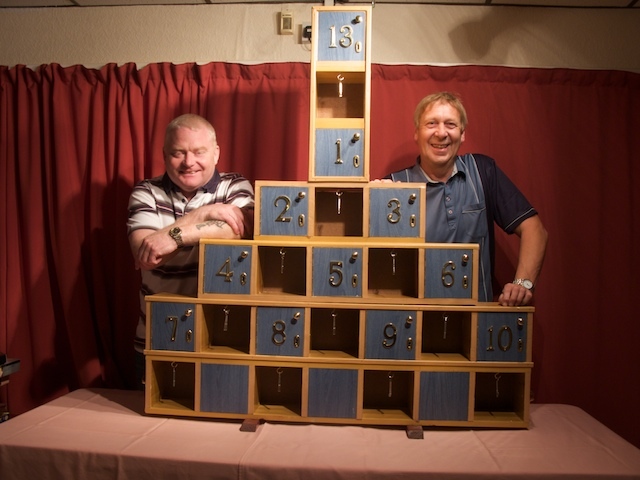 Northamptonshire Cheese Skittles is also available in the Club in the upstairs Games Room. 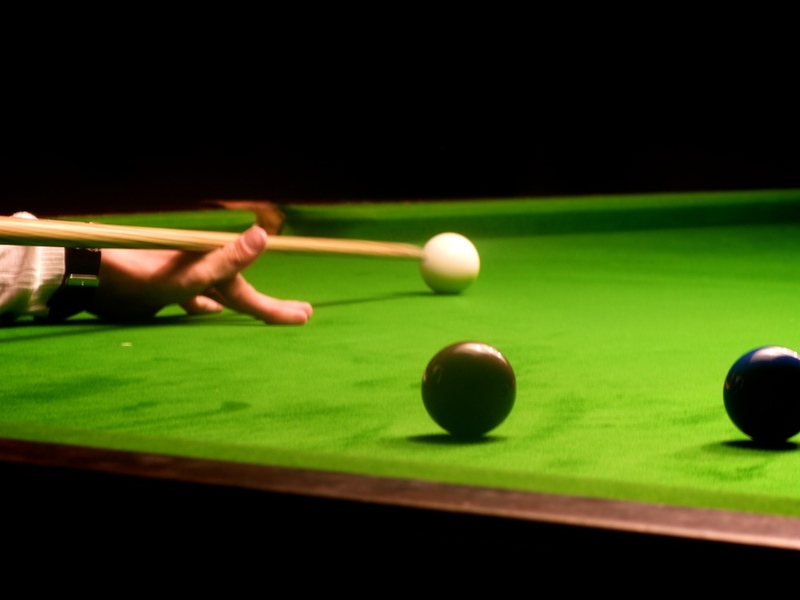 We have a Team in the Byfield Winter League as well as the Daventry Summer League. 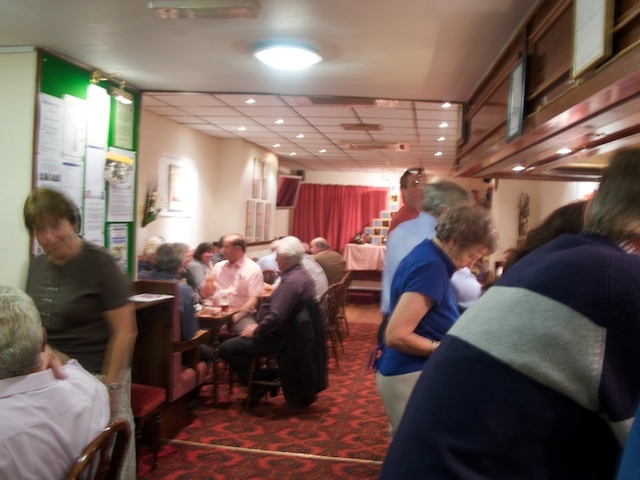 Cards and dominoes are also popular games and played regularly by members. 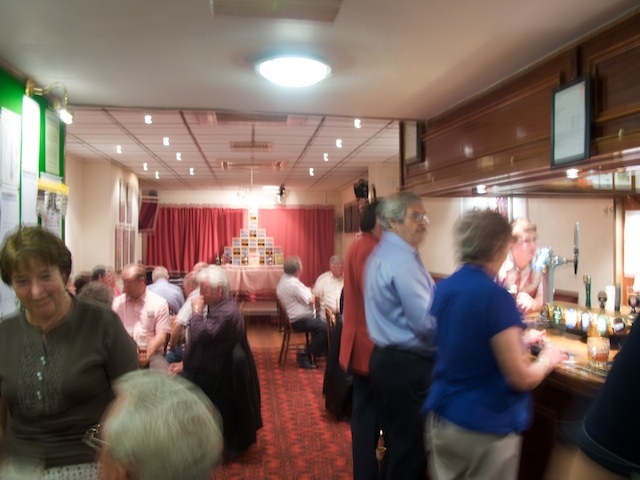 Regular entertainment, quiz nights, games evenings, bingo, draws and raffles ensure that there is always plenty going on in the Club. 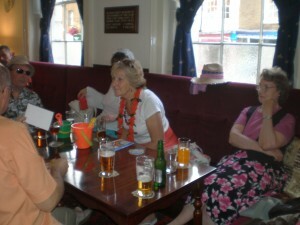 The Club supports local charities and holds various fund raising events. 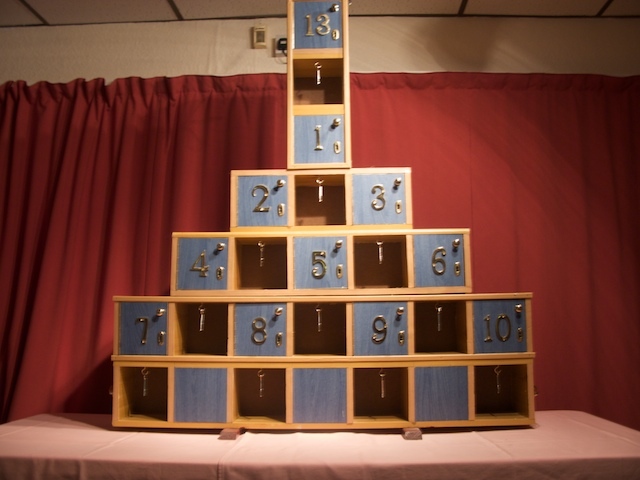 The Club occasionally runs special events by the ladies section. 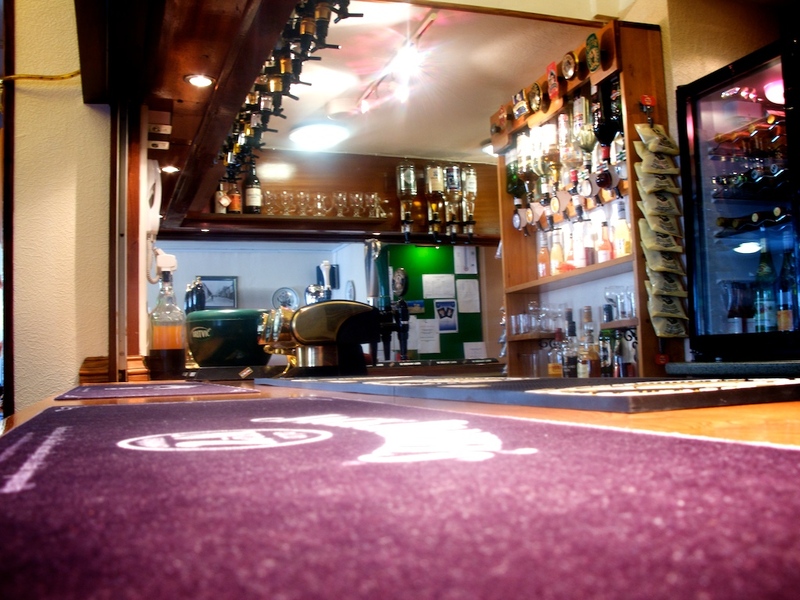 The Club boasts air-conditioning, friendly staff and is known for its relaxed atmosphere. Only members, guests and affiliates may use the club and entry is strictly controlled by a secure key door-entry system. 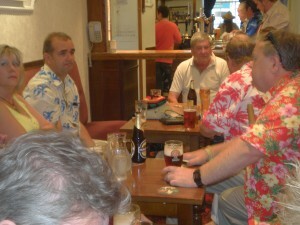 The Club is run for the members by an elected committee, president and chairman, in conjunction with two paid executives. 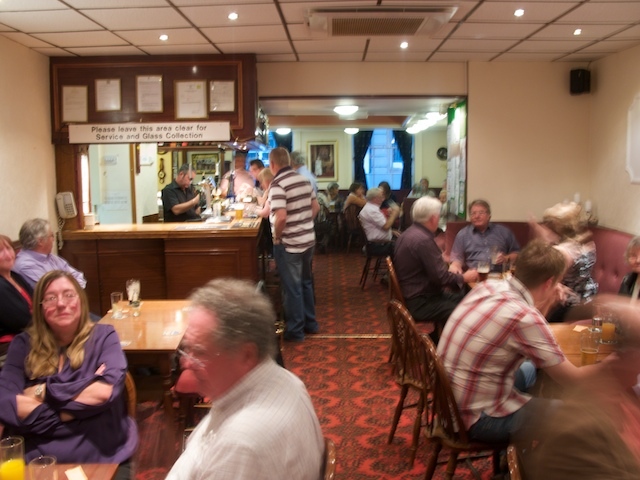 In 2010 the Club celebrated 125 years in existence. The Club was originally established as reading rooms by a group of gentlemen who placed the following advertisement in the local press dated 21.03.1885. 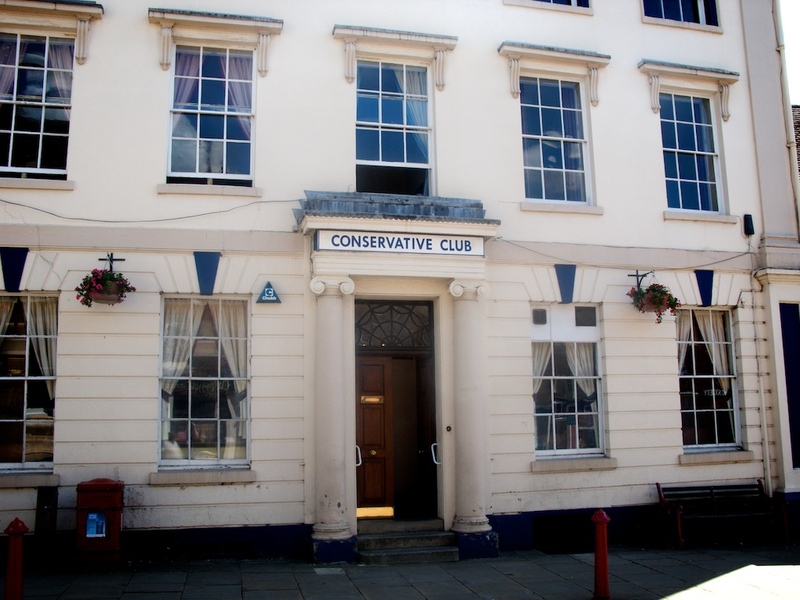 ‘The club house at 5 High Street, Daventry, containing comfortable and commodious reading rooms will be open to members after 26th March 1885. Terms = 1 shilling entrance and 1 shilling per quarter. The Vice president, E. C. Burton gave his name to the well-known Burton Memorial, which is situated at the top of the High Street adjacent to the Market Square. It is well worth a visit to read the inscription. The President, Lt. Col. John Henry Lowndes, was a bodyguard to Queen Victoria and Prince Albert before joining his regiment to fight in the Crimean War. He was shot during this campaign at a time when the army surgeons thought it best to leave shotgun wounds open. A letter to his parents said he wish he could die because of the pain. The wound was repaired when he arrived home and he lived until he was 90 years old. 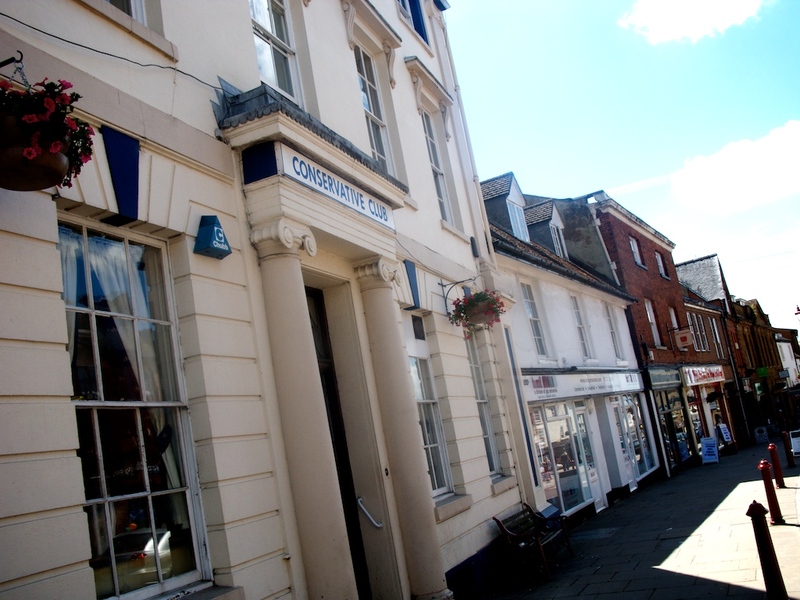 In 1924 the Club was situated further down the street at 51 High Street, Daventry. This would be approximately where the new newsagent and book shop is currently situated. In 1930 planning permission was sought to convert its existing site from a private household to a private club. 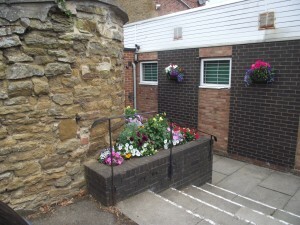 It is believed that it was at this time that the club relocated to its present site at 39 High Street, Daventry. During World War II it has been reported locally that for an early period of the war it was taken over by the government as the local food office. An office was set up on the first floor where various supplements for babies were issued, along with bottles of Cod Liver Oil. 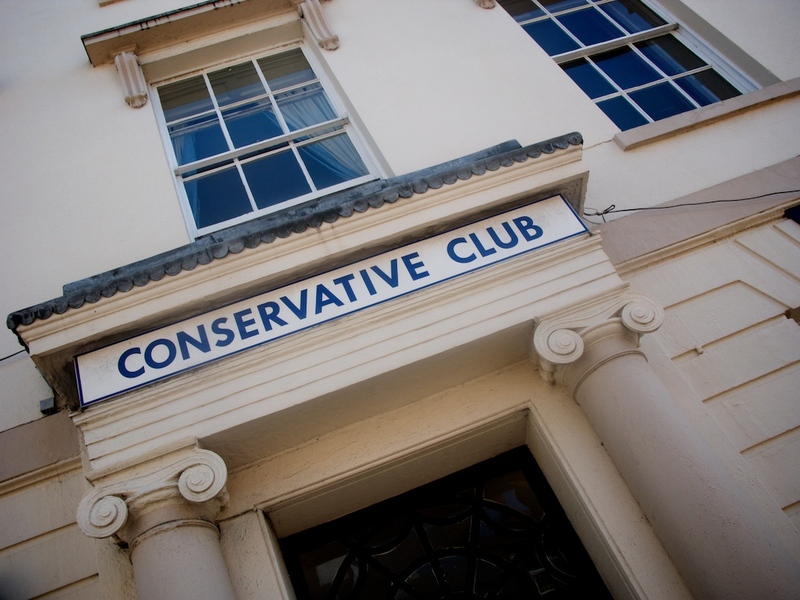 The existing premises are a Grade II listed stuccoed building in the Neoclassical style built circa 1850. It comprises of a three stories with a Welsh low pitched roof. There are 5 sash windows with corniches on the first floor and architrave surrounds to the second floor. There are also giant Greek Ionic pilasters on panelled pedestal either end. A central door and oblong fanlight in reveal, with a surround of Greek Ionic half columns , entablature and blocking course. The Club seating areas forms a horseshoe-shaped pattern around an ‘L’ shaped bar. Comfortable seating is found throughout. 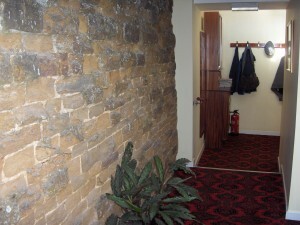 A separate unique entrance hall that has a stone wall on one side leads to a snooker room. 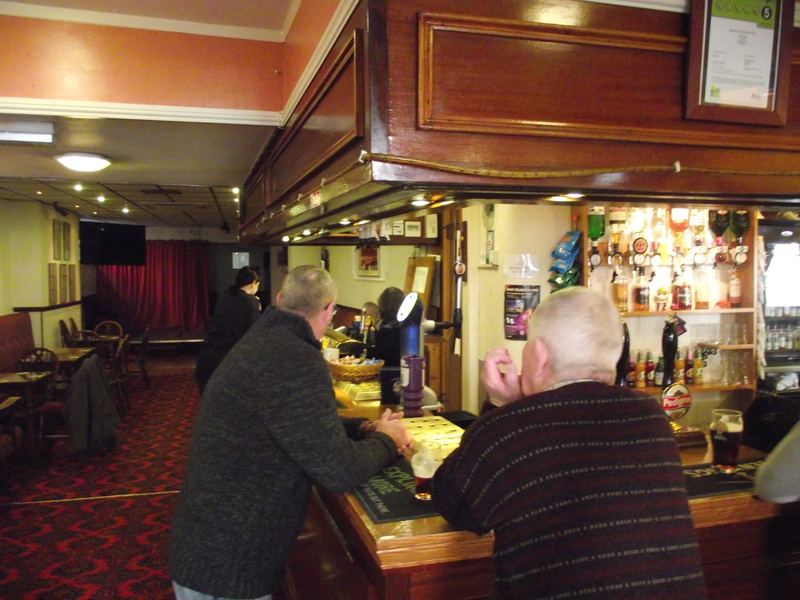 An upstairs games room are also available to members. The Club was recently refurbished and is bright and clean throughout. 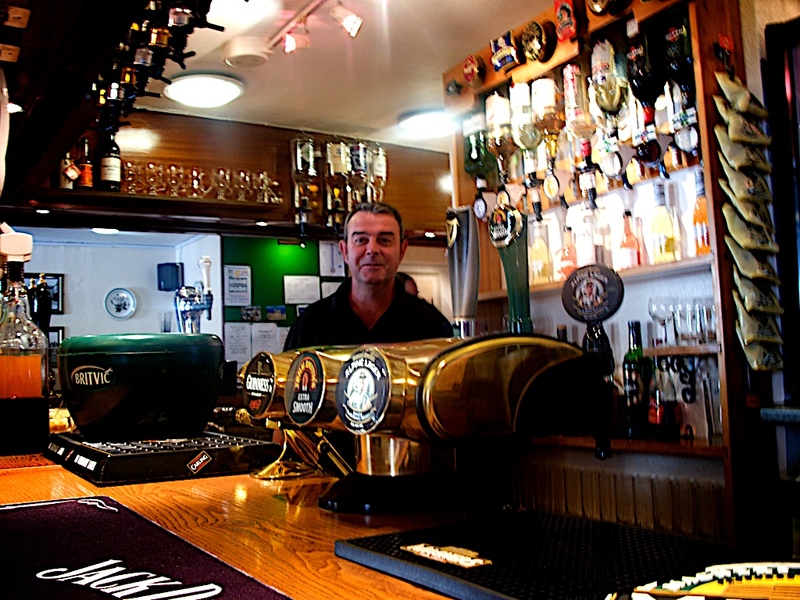 Background music is played throughout the bar and lounge areas. 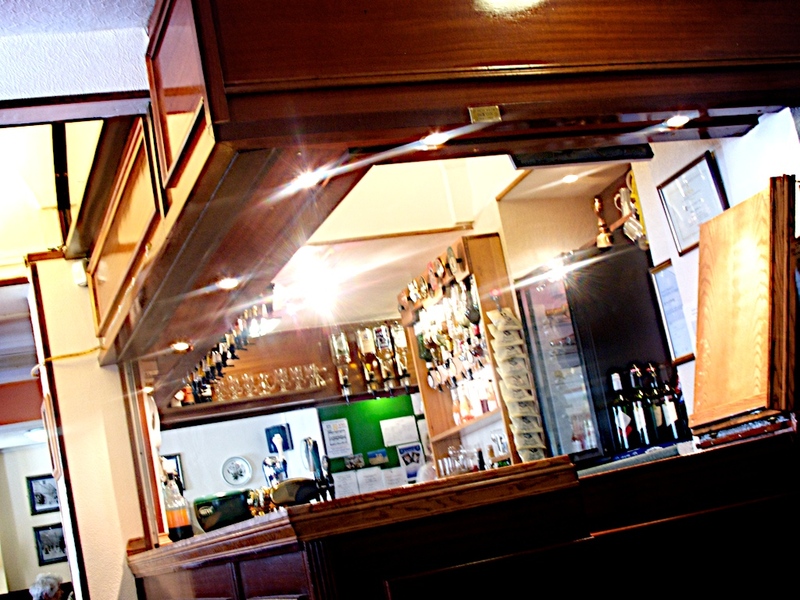 The Club facilities can be hired out a reasonable prices to members, member’s relatives and friends for private parties, buffets, wakes, birthday parties, meetings, etc. 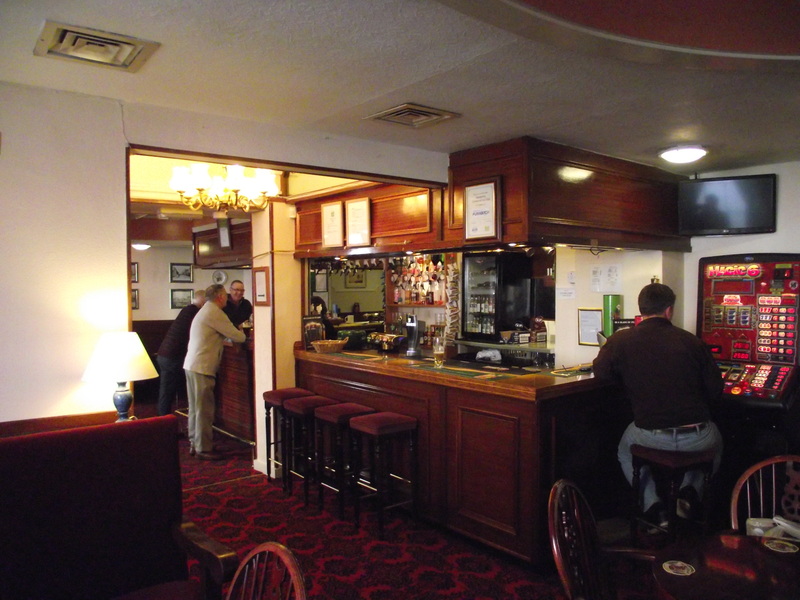 The long bar area is split in two zones. The upper bar contains a stage where regular entertainment and games nights take place. 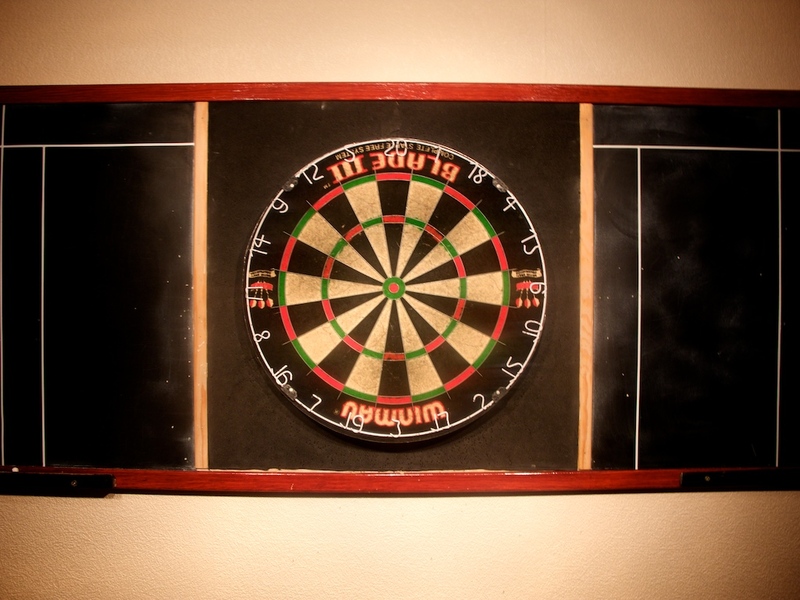 A dart board is also found upon the stage. 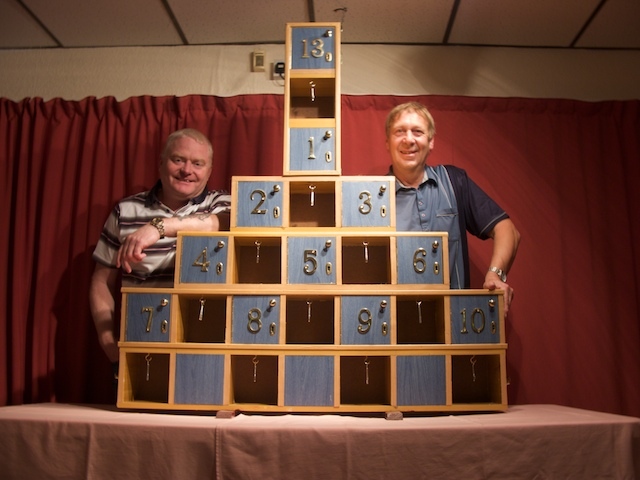 Both dominoes and cards are popular games played in this area. 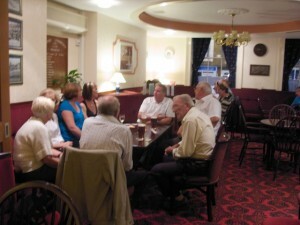 The lower bar is a quieter area where groups of members sit and chat. A small comfortable lounge area is found at the bottom corner of the Club. 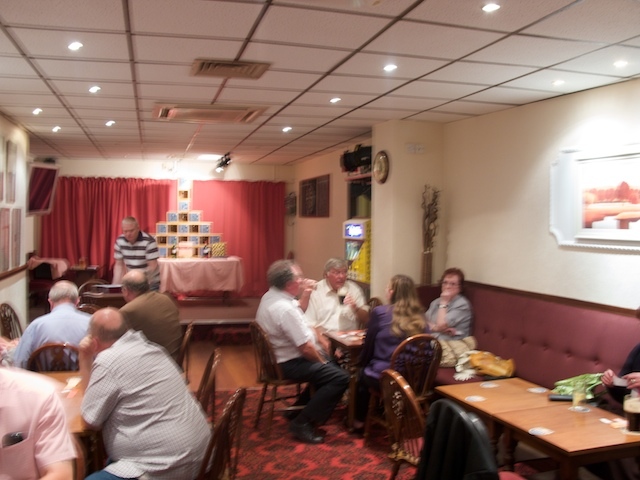 A Restaurant area which holds to approximately 30 people is available off the lounge. 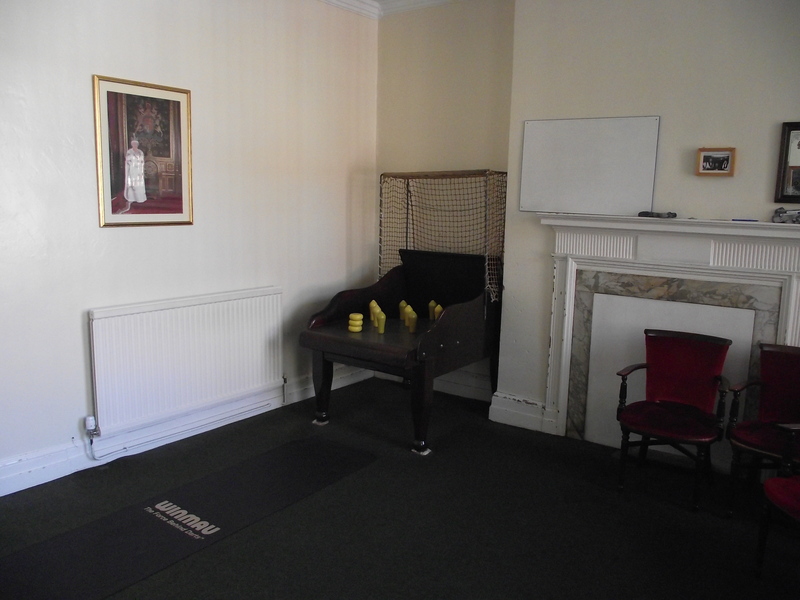 This area can be shut off and doubles up as a second meeting room and for private functions. It also doubles as an extension to the lounge when meals are not being served. 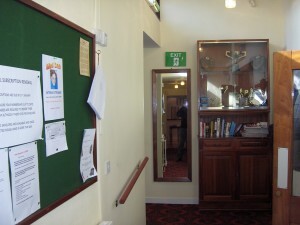 The Snooker Room is found at the end of the rear passageway. 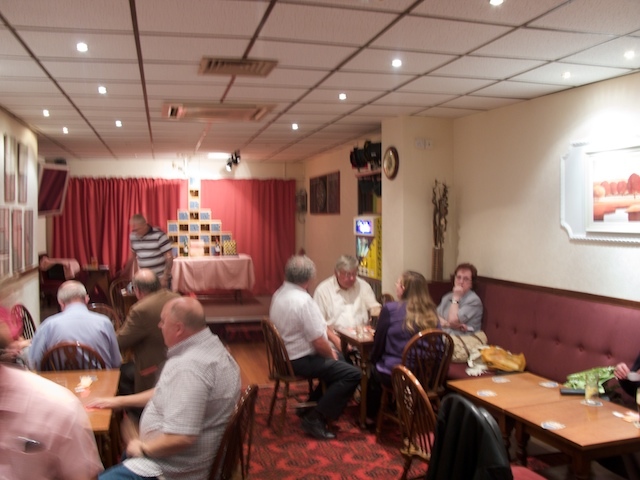 There are three tables and ample room for spectators. No food is allowed to be consumed in this area.The second picture (below) of the Snooker room was taken at the official opening event, circa 1970. 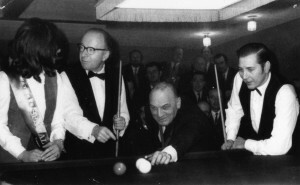 Former stars Fred Davis and Rex Williams are pictured playing Billiards in the picture. Former alderman and mayor of daventry, Bernard Ridley is pictured in the centre. 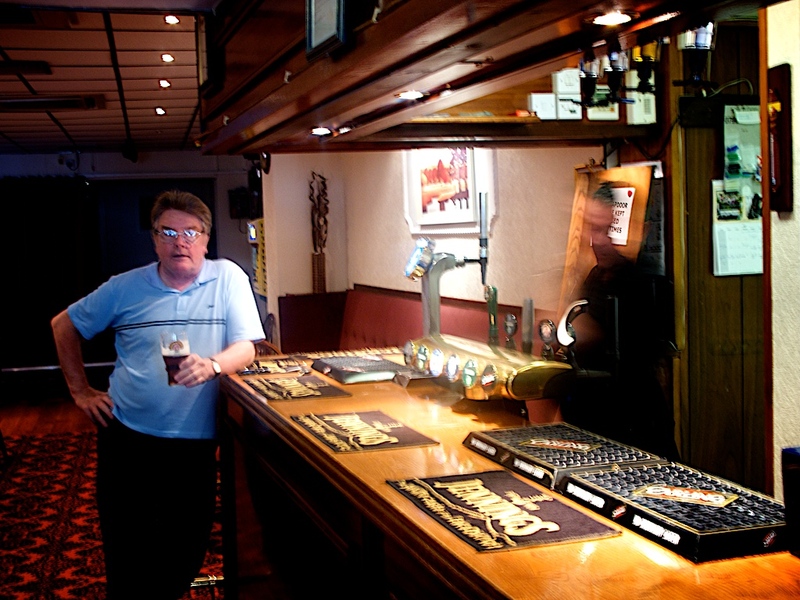 Although a former Labour mayor, he was a frequent visitor to the Club and friend of the former President and Chairman. A small games room is available on the first floor of the building and can be reached from the main stairway off the entrance hall. 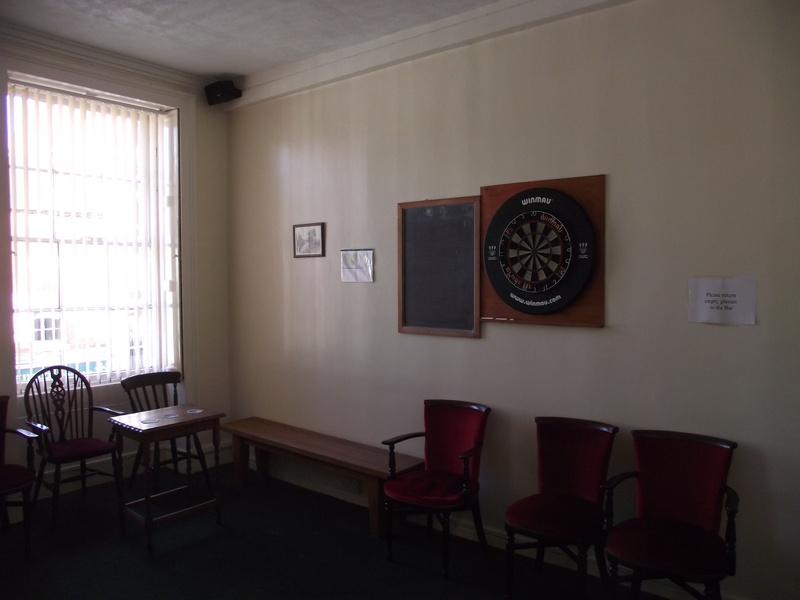 A second dart board is available upstairs, however the room is mostly used by the thriving Northamptonshire ‘Cheeses’ Skittles Team who play in the Byfield League. A second dart board is also available for members use when Skittlesw matches are not taking place. 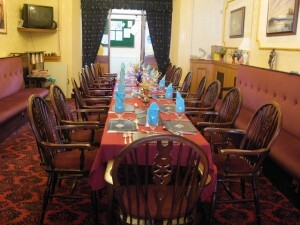 Two function rooms are now available for meetings, conferences, private parties, wakes etc. Details of these rooms including facilities and charges are shown on a separate tag. 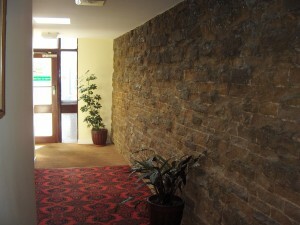 The kitchen, toilets, including a disability toilet can all be found from the rear entrance hall which features a unique stone wall feature. Members who are avid readers might like to partake in the book exchange system which takes place in the hall area. Old books are donated and any members can help themselves to any titles they fancy for a small donation in our current charity bottle. Smoking Shelter. 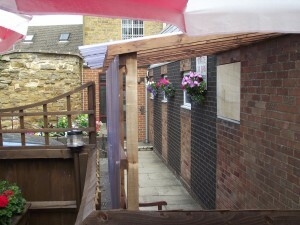 The Club has a small covered smoking area and bench. 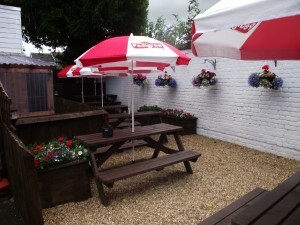 The ‘Yew Tree’ Beer Garden is a fully equipped beer garden and was completed for the enjoyment of the members and their guests. 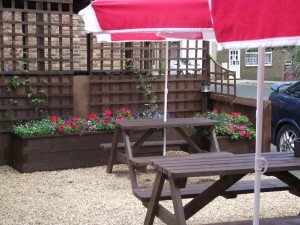 It comprises of picnic bench seats with parasols to accomodate approximately 35 people in an enclosed area, partially decked and partially covered in pea gravel. 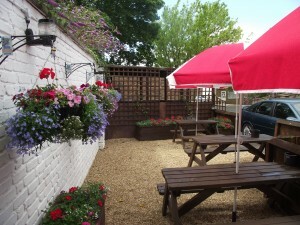 A number of planters and climbing frames surround the area creating a pleasant area to spend the hot summer nights! Sensor controlled lighting comes on each evening at dusk. The tree is also decorated at lower levels with pale blue low enegy lighting. Ashtrays are available at three of the seven benches. 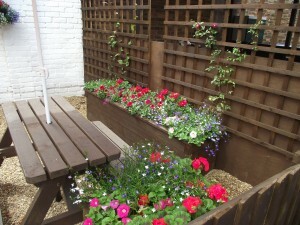 Young Children are allowed in the garden providing they are under strict control. You can eat outside providing you tell staff your whereabouts when you order your food. 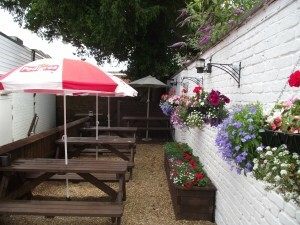 People are encouraged to return all their glasses to the bar on vacating the garden area. A gas-fired barbecue is available for outside events in the garden area from time to time. Please check out this website for forthcoming events.